I see that Best Buy has this package on sale for $279.99 for a limited time. So I'm discounting mine to $260, for a limited time. (Remember, mine does not come with Moss, only Astro Bot). Barely played mint condition Playstation VR kit with an unused copy of Astro Bot Rescue Mission. Comes with original box, PSVR headset, playstation camera, all the cords and cables and the game. A lot of fun, I just never found time to enjoy it. 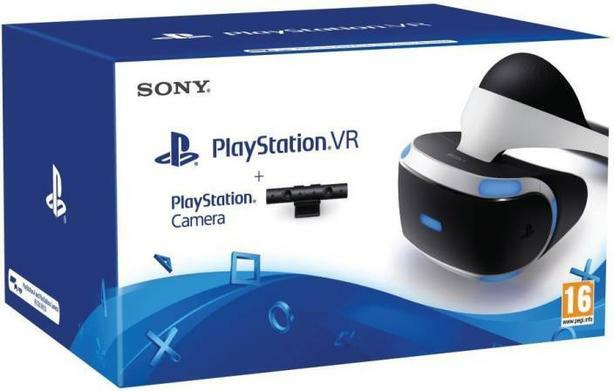 A good time to buy now because Sony has announced the next-generation PS5 will include support for current Playstation VR headsets. (When not on sale) this kit retails for $379.96 at Walmart and $379 at Best Buy. I would throw in a copy of Moss, but because I redeemed the code to download it I don't think that works anymore.